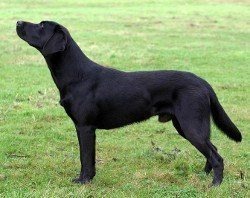 What is an English Type Labrador? Are American and English Labradors Really Different? 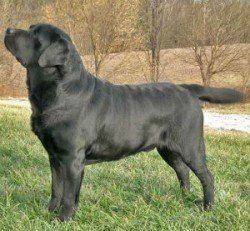 The English and American types of Labrador are distinguish according to bred for�show (conformation dogs) and for hunt (field dogs) respectively. 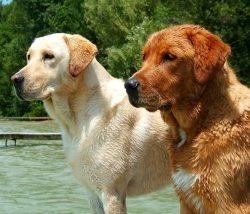 The�UK kennel club, the AKC and no other national registry or parent club of Labrador Retrievers contain in the breed standard, or recognize in any way, a difference between American and English Labradors. They simply do not differentiate between Labs. The American breed standard allows a hight of between 21.5 to 24.5�inches while the English breed standard allows a height of 21.5 to 22.5 inches.